Being a marine microbial ecologist, Dr. Forest Rohwer sees a coral reef as a finely-tuned community in which the microbes and viruses are major players. Recognizing their importance, he pioneered the use of metagenomics as a means to characterize these previously inscrutable organisms and to investigate their role in coral reef health and disease. For his scientific contributions, he has received numerous awards including the prestigious Young Investigators Award of the International Society of Microbial Ecology and the Marine Microbiology Initiative Investigator Award from the Gordon and Betty Moore Foundation. Dr. Wegley Kelly and Dr. Rohwer have been working together since 2001. 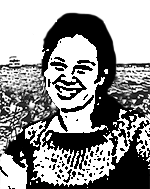 She has directed research projects on everything from fluorescent-labeled phage to large-scale metagenomic from deep mines, salterns, and coral reefs to ammonium oxidizing Archaea. Linda's research group mostly works on coral-associated microbes. She uses a combination of large-scale DNA sequencing (e.g., metagenomics), analytical chemistry, and microbiology to study how the coral holobiont changes in response to local and global stressors. Linda recently showed that shipwrecks cause devastating outbreaks of algal-microbial mats the kill kilometers of coral reefs in the iron-poor parts of the central Pacific. Coral reefs worldwide are in decline. The dramatic rise in incidences of coral disease over the last two decades has been instrumental in this process. We have hypothesized that most of these diseases are actually opportunistic infections instigated by anthropogenic stressors. Our research is focused around understanding the interactions between the microbial world and coral reefs, and how these systems change following perturbation. We are currently investigating the dynamics of bacteria, phage, and eukaryotic viruses in the respiratory tracts of individuals with and without Cystic Fibrosis. Characterization of viral communities coupled with microbial transcriptomics and viral metagenomics will allow a better understanding of how the unique environment of the CF airway drives microbial and viral specialization and vice versa. Our mission is to interest high school students in the study of the Phage Virus and attract them to the field of science in the future. We will do this by sharing the most interesting aspects about the phage virus along with an educational foundation, a fun art contest, and an in-depth field trip. Additionally, 3-5 motivated students will be offered a summer internship at our lab researching the Phage Virus. 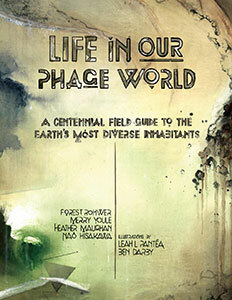 To celebrate a century of phage exploration, we invite you to get intimate with 30 diverse phages in this premier phage field guide. In these 404 pages you'll learn who these phages are, where on Earth they've been found, who their close relatives are, how their genomes are structured, and how they trick their hosts into submission. Researchers who have devoted their lives to phage also recount their experiences in pursuit of their quarry. The book is available in electronic (PDF) format for free. It can be downloaded as a high-resolution (323 Mb) or lower resolution (75 Mb) file. For optimal viewing, display the pages with the two-page view that includes the cover. For millennia, coral reefs have flourished as not only one of the planet's most magnificent ecosystems, but also as its most biodiverse. 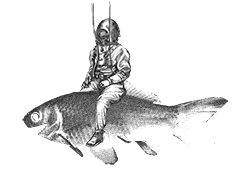 However, since the 1980s the corals have been struggling. Both coral bleaching and disease have spread globally. 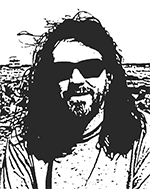 During recent research expeditions to the remote Line Islands, microbial ecologist Forest Rohwer and his colleagues found that the large-scale changes to the reefs in recent decades are the work of the microbes as they respond to various human impacts. 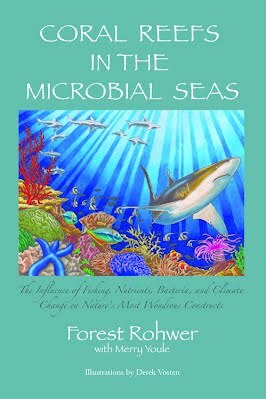 Coral Reefs in the Microbial Seas is the first book to recount this story, complete with introductions to the coral reef ecosystem, 21st century metagenomic research tools, and the coral's microbial and viral partners. An engaging book, its science is liberally spiced with artistic illustrations and playful stories from the research expeditions. We have a diverse group of researchers in the lab that include undergraduate volunteers, graduate students (MS & PhD), post-docs, and visiting scientists. Our lab offers research and training opportunities for students (undergraduate, MS, PhD), postdocs, and scientists. Learn how to build the tools that we use to explore diverse ecosystems.